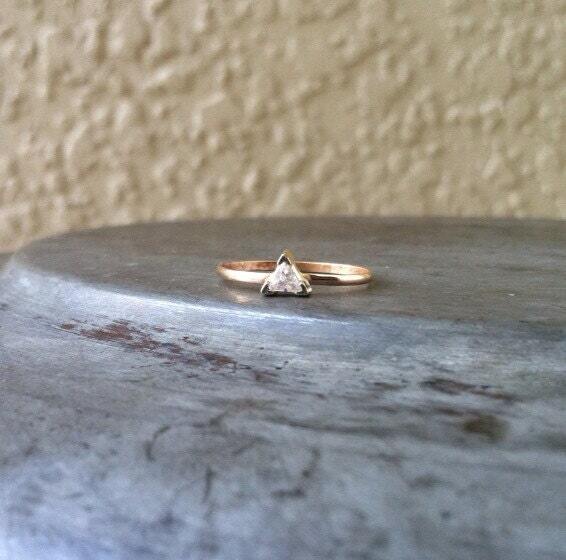 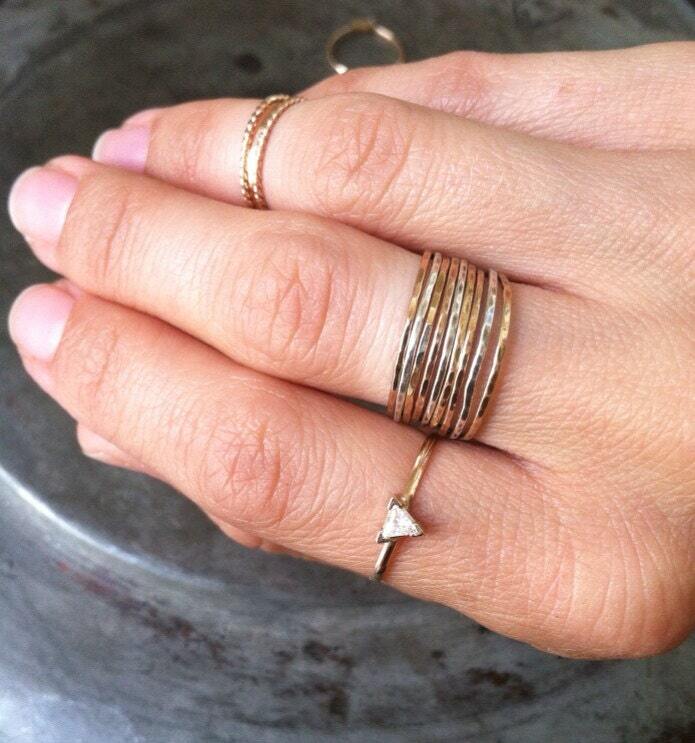 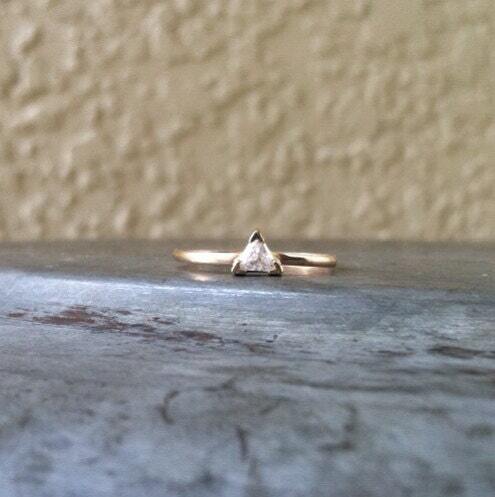 A lovely 3mm triangle cz is set in a 14k solid gold triangle bezel, and sits on a 14k gold filled band. 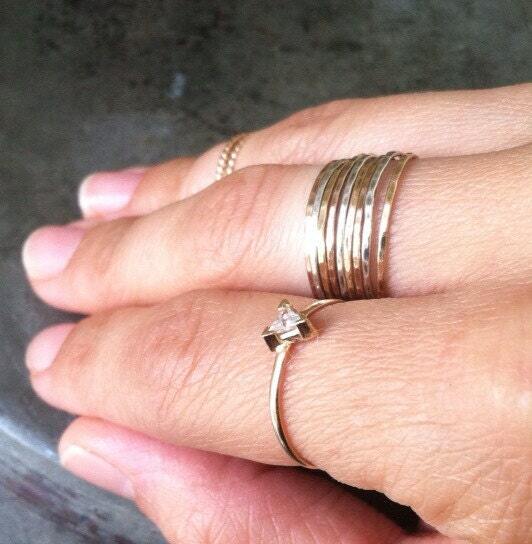 The band has a smooth and elegant finish. 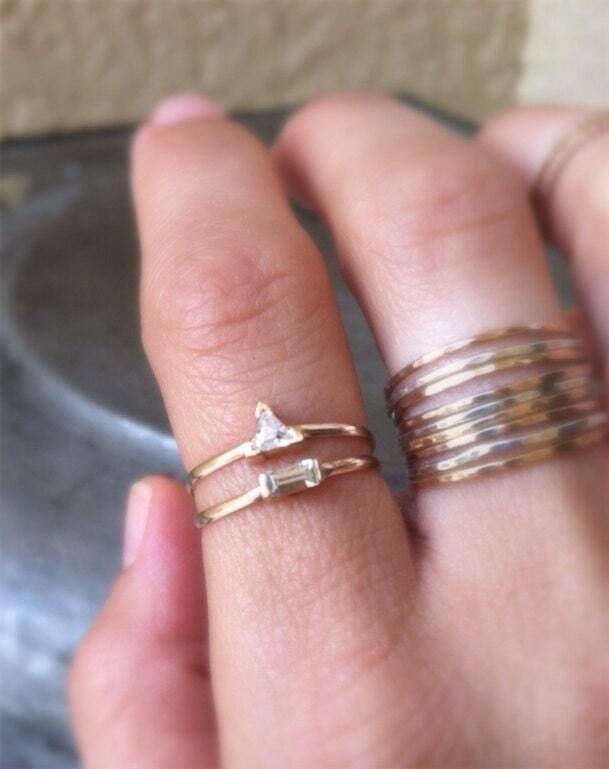 This ring can be a solitaire engagement or statement ring, or accompanied by other stack rings from my shop.